We may have gone a little overboard buying clothes when we found out that we were expecting a little girl but we wanted to be prepared. I had clothes for the first year all separated into storage and ordered by age so I could simply pull them out when Isabelle had moved up a size in clothes. I was super organised and didn’t need to buy anymore clothes but when out and about I couldn’t help myself, I would always come back with another outfit for Isabelle and then quickly removed the tags when I got home so the other half wouldn’t find out (unless he reads this he will never know). 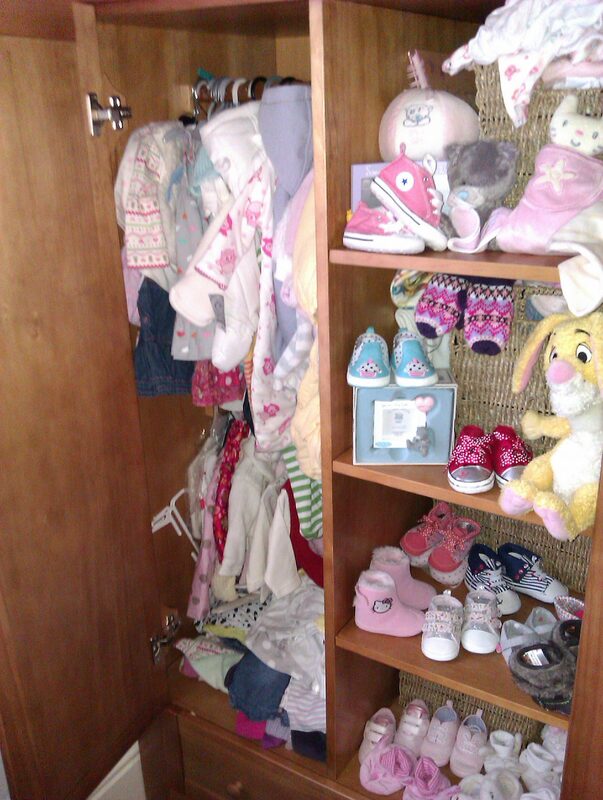 It only became a problem when I ran out of storage space, her wardrobe, drawers and baskets were over flowing. I had to make the decision to sort through the “keep for later” pile that I had accumulated over the months, we gave some to charity, sold some and even advertised some for free on local selling sites, but my favorite pieces (around 2 bin liners full) I have managed to keep for when we add another member to our little family. That is unless we have a boy and have to start the whole process again. 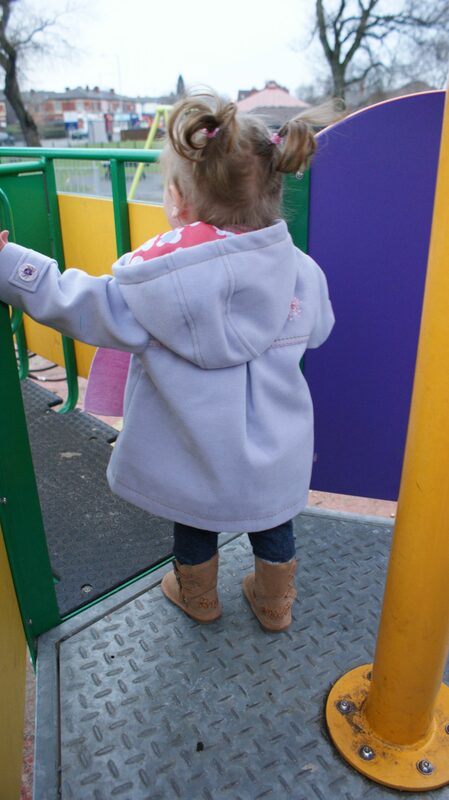 Isabelle has always been quite dinky and has been one size behind in clothes, that was until now where she has rocketed upwards in a growth spurt pretty much over night. This is where my other half is getting worried, until now we haven’t needed to buy anything but since she is growing at a rapid rate she is currently in the last size of clothes that we purchased before she was born 12-18 months. From here we need to buy her a whole new wardrobe of clothes, I’m rather excited about shopping for pretty little girl things but I sense that my other half isn’t as happy about that fact as I am. I can see that the mere thought of shopping for clothes for kids brings my other half out in a cold sweat, he really dislikes shopping but as he has said previously “anything for his little girl” which I am sure he will regret saying later.